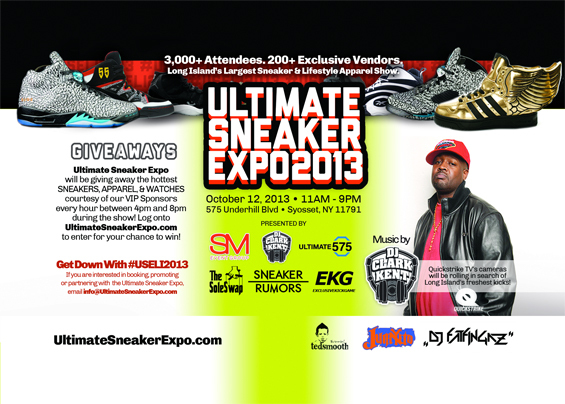 DJUSA - October 2013 Newsletter — Ultimate Sneaker Expo, Children's Hope, Gotham Hall, Tribeca Rooftop, MC Gino, and More! 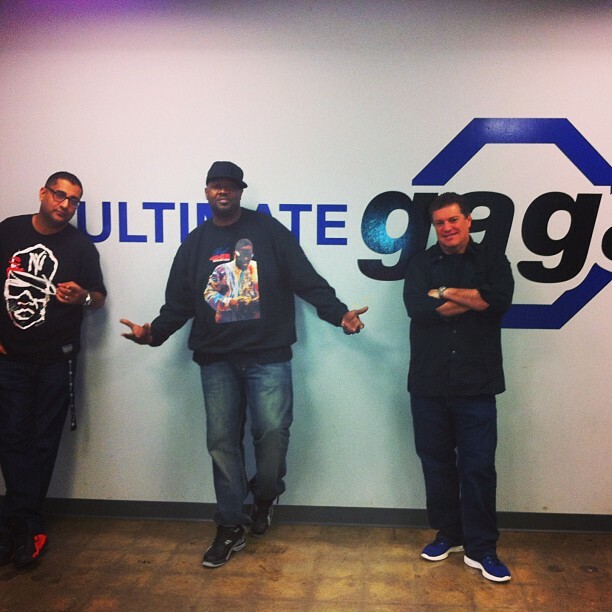 DJUSA Gets Ready for the Ultimate Sneaker Expo on October 12th! 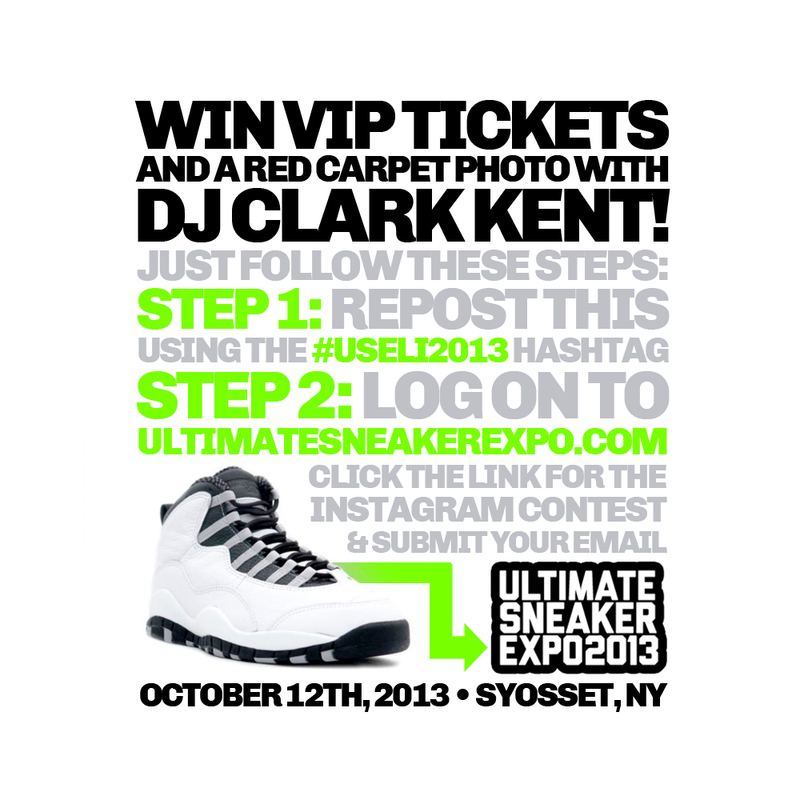 On Saturday, October 12, DJUSA's affiliate company – SM Event Group along with DJ Clark Kent and Michael Siegal of Ultimate 575 will be hosting the debut of the Ultimate Sneaker Expo of Long Island (USELI). 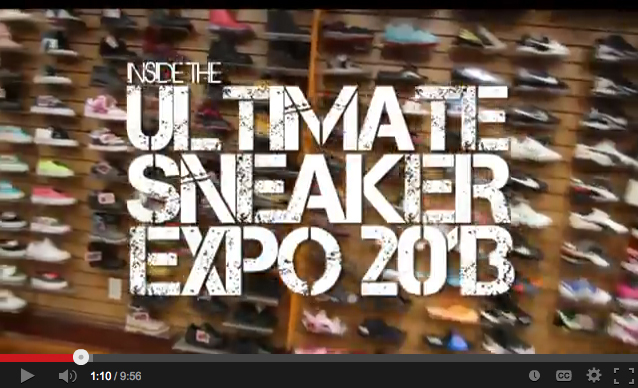 All event partners have joined together to share their passion for sneaker and events. 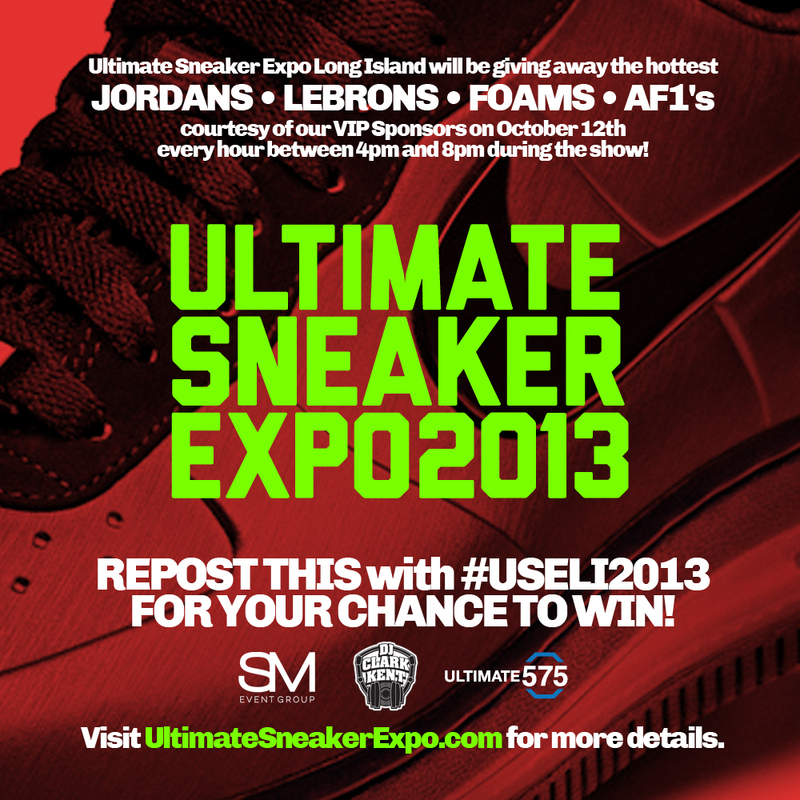 The USELI will be Long Island's largest sneaker and lifestyle apparel show featuring top vendors, brands, and retailers. 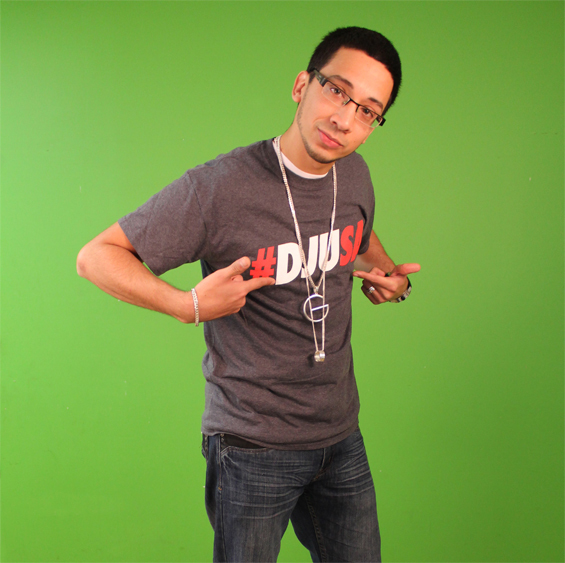 The legendary DJ Clark Kent, Fatfingaz, Ted Smooth and Juanyto will be on the turntables spinning the hottest hits. 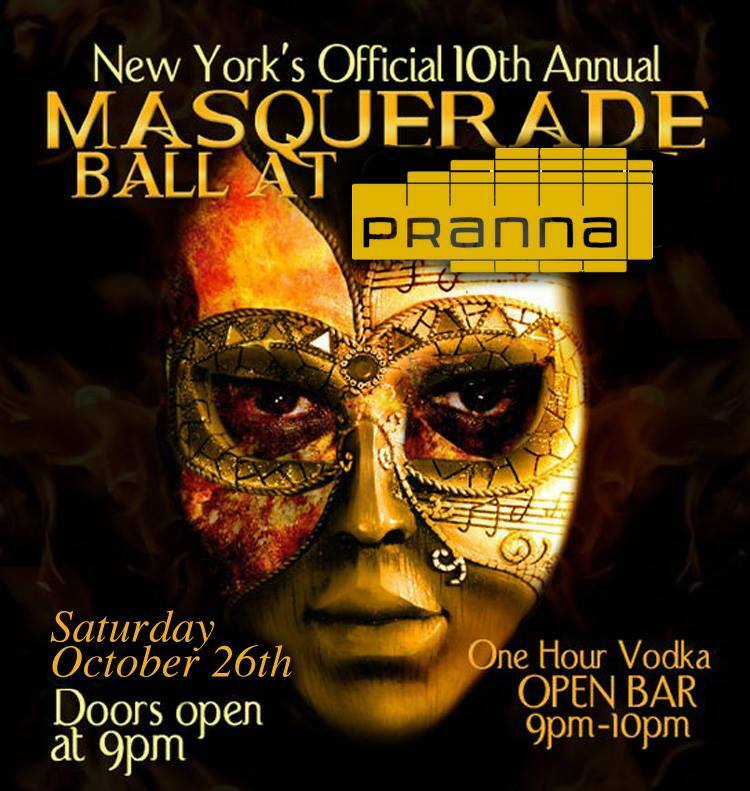 DJUSA's very own DJ Sharad and team will be onsite to manage this debut event! Check out the exclusive video here! DJUSA is honored to be part of Children's Hope Annual Gala to be held on Sunday, October 13 at Pier 60 in NYC. 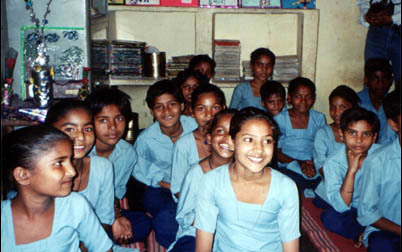 Children's Hope India, Inc. (CHI) is a non-profit organization that raises funds to support projects providing education, food, shelter, and health services to thousands of children living in slum communities across different states in India. 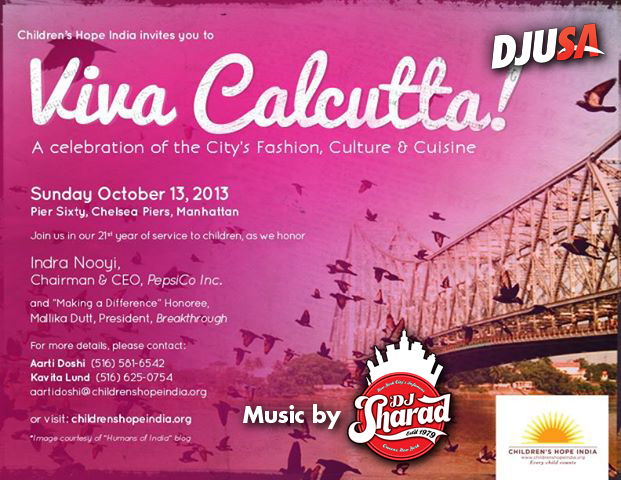 This year's event is themed as "Viva Calcutta!" and will be a celebration of compassion and giving to help children realize their dreams. Honorees attending this year include Indra Nooyi, Malika Dutt, Sundaram Tagore, Derek O'Brien, and Rachel Roy. Also attending is Ali Velshi formerly of CNN, Mira Nair and Sabrina Dhawan of Monsoon Wedding. DJUSA will be onsite to make this a successful event with a full range of services including lighting and visual solutions plus music by DJ Sharad. For tickets and to learn more about CHI, click here to visit www.childrenshopeindia.org. 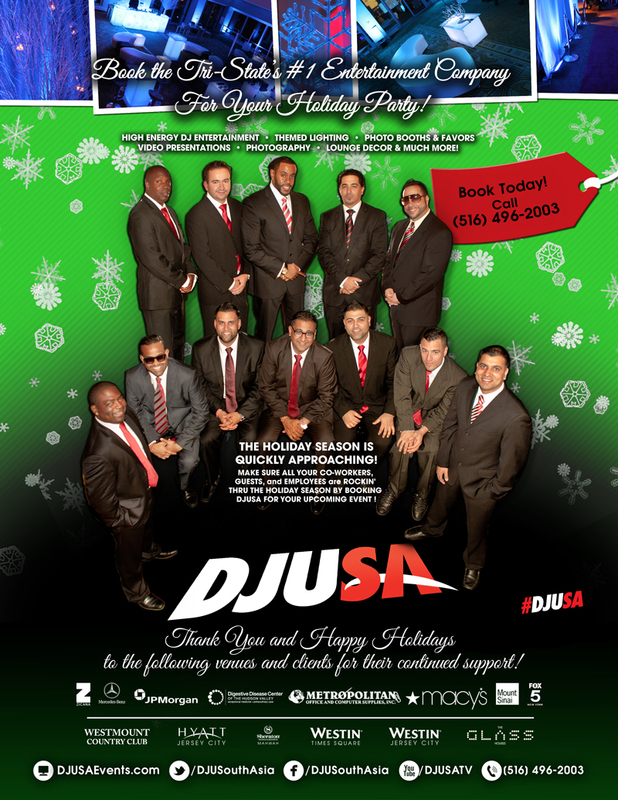 DJUSA hopes to see you at Pier 60 on October 13! DJUSA kept busy the weekend after Labor Day, typically when events start to slow down. This year, DJUSA had nearly a dozen events on the September 7 weekend. 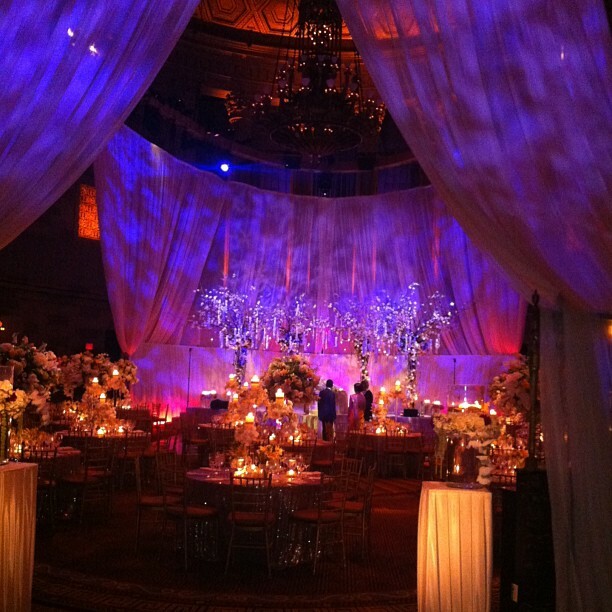 One of the events was a 2-day wedding at top venues in NYC. 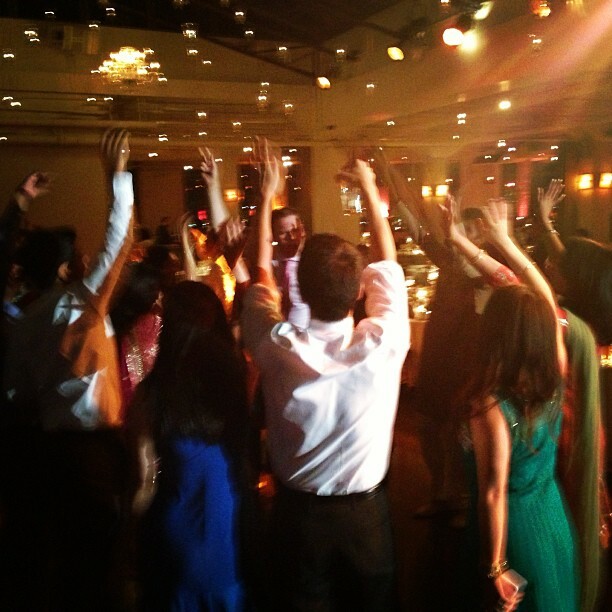 The client had their sangeet at Tribeca Rooftop where DJ Rohit and MC Gino kicked off the wedding weekend. 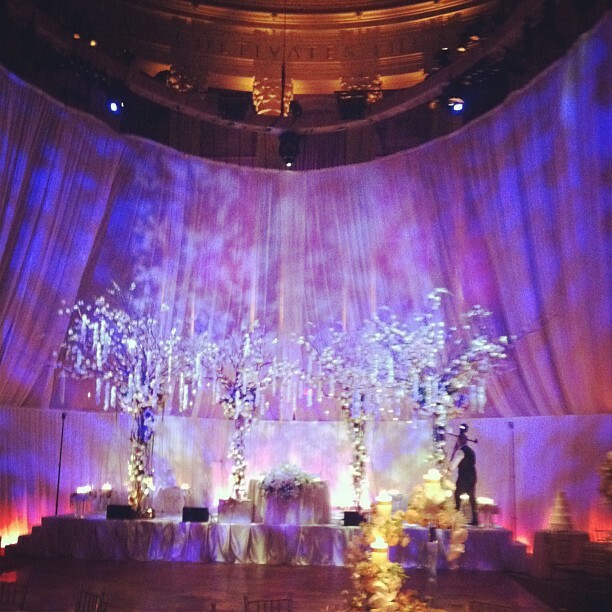 The ceremony and reception were held the next day at the exquisite Gotham Hall in midtown. DJUSA coordinated the event production for the entire day starting off with the dhol player for the baraat, and DJ Sharad along with a live flute and tabla player for the ceremony music. The entertainment didn't stop there! DJUSA had its own live piano and saxophone player for the cocktail hour followed by DJ Juicy and MC Freddie rocking the dance floor the whole night. Check out pics from this 2-day wedding weekend! Left: Tribeca rooftop; Right: Gotham Hall. 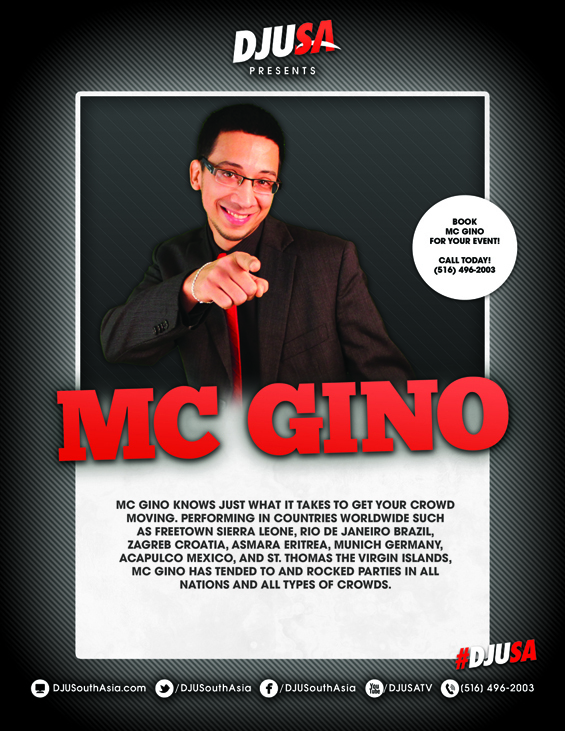 MC Gino knows just what it takes to get your crowd moving. Performing in countries worldwide such as Sierra Leone, Brazil, Croatia, Eritrea, Germany, Mexico and The Virgin Islands, MC Gino has tended to and rocked parties in all nations and all types of crowds. How did you get into the entertainment industry? How long have you been in the business? Music has always been an integral part of my life. When I was 14, I remember my father walking into my room and handing me a CD that was jam packed with all different type of applications. One of them just so happened to be the very first version of Sound Forge, an editing/mastering program that at this point was still being made by Sonic Foundry. I instantly fell in love and opened up the app not knowing what I was in for. I saw all these lights and gadgets, and I guess that is was attracted me to it. My next step was inserting an audio file seeing exactly what this program offered, and I remember the first track I ever inserted was "put your hands where my eyes can see" by Busta Rhymes. It was so much fun and never stopped since that day! I made my very first mix CD when I was 15 and sold over 3,000 copies. It was a Latin mix called Encendido. I fell in love with the music industry instantly. After my first mix tape my father got me my very first DJ gig ever at the United Nations where I hosted an international event with over 4,500 guests. I couldn't have been happier and till this day I remember my dad's face, and he couldn't have been prouder of his son. I feel very fortunate, I really do. Normally if a son tells their dad I want to be a DJ, the adequate response would be one guiding your child to a more normal lifestyle. My father did the exact opposite, he believed in me and supported me all the way through. Till this day my father (Juan Carpio) would travel any extent to see his son perform. That's what I call support and a true fan! When I was 21, I was the DJ for a Bar Mitzvah and the MC was sick. He told me I had to MC and he would DJ the event. For the very first time, I was the event host for a large party of 400-500 guests. It was such an awesome experience to MC that I haven't stopped MCing since that event. The interesting is that I really wasn't nervous because I am a very animated person. I love making people laugh and most of all I enjoy the fact that my talent can make others smile. There is nothing like ending an event and have everyone walk up to you and say "that was amazing, thank you!" It makes every bit of this job so much better. As an MC, we go through all different type of stressful episodes during our events. It can go from anywhere from tardy performers to the most complicated clients, but being an MC is giving the client 100% satisfaction. I've literally rewired systems onsite for a client. I recall this one time in San Francisco (I'm from NYC) a client was so overwhelmed with his wedding that he had ran out of gas 2 hours prior to the event. I took his car to get gas to relieve some of his stress and left him a note saying "enjoy your honeymoon." I got a call from him and his wife the day of their honeymoon thanking me for the amazing night and just always trying to help out. This is an essential part of what I do. I'm here to make everyone's life easier and enjoyable. To me the meaning of an MC isn't just the master of ceremony, but also to move the crowd or making changes. I'm a showman, I love the spot light and I love making people feel great inside by giving them the night of their lives. Thus creating that one unforgettable night that stands out from every other party they ever attended. I LOVE IT. You DJ as well. Tell us more about your role as a DJ and how it helps you to be a better MC. Music is my passions and I've been fortunate to travel globally with my parents throughout my childhood, which has given me opportunities to embrace all different cultures. I met diverse kinds of performers and musicians who opened up my eyes to what this industry is all about and the amount of untapped talent in this world is remarkable. There are so many incredibly talented people around who just keep their music to themselves, its actually breathtaking. I recall living in Zagreb, Croatia when I was 14 and met one of my dad's co-workers. He was a Brazilian man named Sergio. This guy would play the guitar to a point where I would literally feel hypnotized. Absolutely amazing guitarist followed by a soothing voice, which complimented his talent all so well. Just one of the few people that I've met during my life that inspired me to never stop. As an MC, being a DJ helps me a great deal. I know my music and have a good eye for reading a crowd. Knowing when a crowd is ready for a genre swap is critical, especially the timing. A simple song can make an enormous change during a dance set and most of all keep the crowd moving all night. You've lived abroad during your career as an MC. How has this changed your perspective as both a DJ and MC? I moved to Lima, Peru in 2010 for a great opportunity. I opened up a nightclub called GLOW LOUNGE in the heart of Lima (Miraflores). 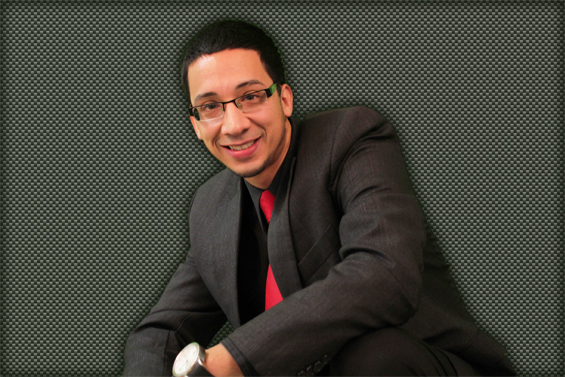 Owning and managing a club greatly expanded my knowledge of the industry and really helped me grow as a performer. I was on the other end of booking artists instead of being that one that gets scheduled in. I learned rapidly about all the extremes this industry has to offer plus the positives and the negatives. I wouldn't exactly say it changed my perspective simply because I was already a performer for so long, but I could definitely agree that it helped me out substantially. 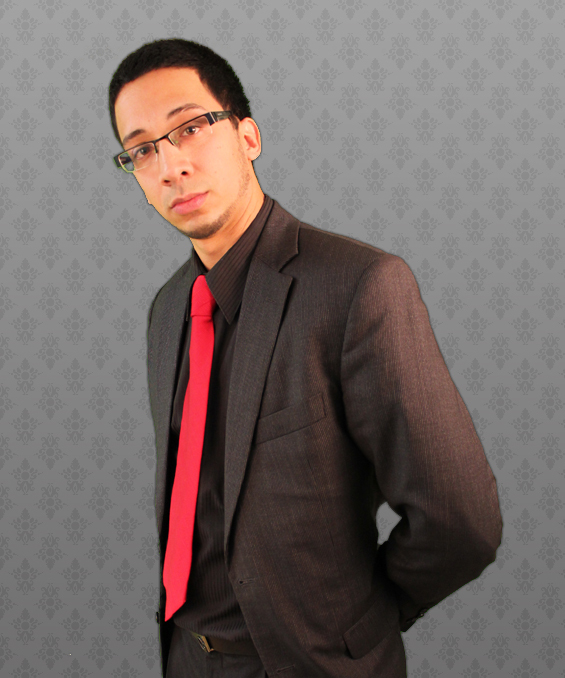 I gained a real new sense of responsibility and team management. Why did you join DJUSA? I hold a very special respect for Sharad Bhavnani, owner of DJUSA. He is the ultimate businessman, a very solid boss and for me the more important one is, a friend. I knew Sharad before I joined the untouchable DJUSA team and even way back then you can tell his mind was fixated on a plan, and that plan was to conquer. I live and breathe music and everything that surrounds it therefore meeting someone with a similar game plan was really inspiring. I did a handful of events for DJUSA before my departure to Lima in 2010 and I always enjoyed how the company functioned. Great venues, very organized and the rules and regulations were followed not because they were rules, but also because the people involved in the company actually understood them. The entertainers are all really talented and very fun to work with. Every team I've been part of has been a great time - performance as well as team respect. I loved that and therefore naturally wanted to be part of this team. Visit HallowParty.com for more info!